With the advent of new technology like iPods, wireless speakers, etc, old school stereo systems have become almost obsolete. But instead of casting it out like a rogue ninja, you can still breathe some life into your precious old music system. All you need is a little help from some wireless techno wizardry. 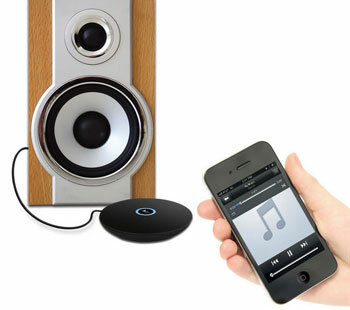 Like the Home Stereo Bluetooth Converter. This piece of tech will turn your old rusting stereo speakers into a wireless music heaven. Say goodbye to the annoying little ear buds or portable wireless speakers because let’s face it, nothing beats the audio quality of a full-fledged music system. 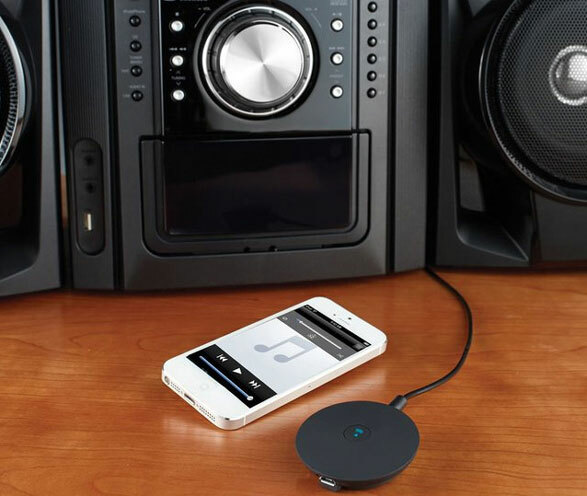 The product connects to your stereo speakers via a cable and wirelessly pairs up with your smartphone or tablet via Bluetooth. Once connected you can stream your favorite tracks over the air for up to 10 hours straight on a single charge. You can play, pause, forward, etc all with just a tap without even leaving the comfort of your couch or bed. The Home Stereo Bluetooth Converter is available for $50 via Fancy.